We are excited to announce our upcoming seed-to-table dinner celebrating the first harvest of Row 7 Seed Company, hosted by Andrea Reusing and Dan Barber. Enjoy a feast prepared by the some of the region’s best chefs, who have been working to connect local farm partners with tastier, more nutritious and sustainable crops. The menu will showcase new and experimental vegetables—all bred for deliciousness—a celebration of innovation in the field and on the plate. Please join us for this first-of-its-kind meal and a rich discussion with farmers, breeders and chefs about the importance of seed diversity—for our taste buds, our health and our environment. Time: 6pm bar opens, 6:30pm multi-course dinner in the restaurant and a Q&A with Chef Barber to follow. Price: $48 (does not include beverage, tax, or gratuity). Reservations are required and can be made by calling 919-768-8831. 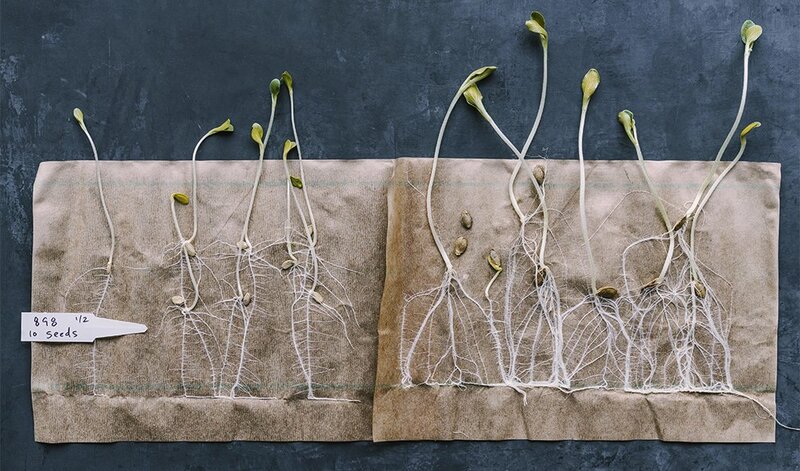 Co-founded by Chef Dan Barber, vegetable breeder Michael Mazourek, and seedsman Matthew Goldfarb, Row 7’s mission is to change the food system from the ground up. Row 7 works alongside breeders, farmers, seedsmen and chefs to develop new varieties of vegetables and grains that make an impact in the soil and at the table. Join our mailing list to stay informed on special events and more.